Together with his roguish friend, inspector Geordie Keating, Sidney inquires into the suspect suicide of a Cambridge solicitor, a scandalous jewelry theft at a New Year's Eve dinner party, the unexplained death of a jazz promoter's daughter, and a shocking art forgery that puts a close friend in danger. Sidney discovers that being a detective, like being a clergyman, means that you are never off duty, but he nonetheless manages to find time for a keen interest in cricket, warm beer, and hot jazz - as well as a curious fondness for a German widow three years his junior. Ecclesiastical detectives have a long tradition in detective fiction. GK Chesterton’s Father Brown springs to mind as one of the best-known examples of blending spiritual concerns, such as the soul of the murderer, with the need to apprehend the killer and restore society to a sense of balance. Priests who dabble as detectives have a double-duty and this sometimes means the reader can feel bogged down in the story, rather than entertained. However, several of these types of stories have been brought to the screen. Father Brown plays on the BBC and initially remained true to Chesterton’s plots. The rival ITV has The Grantchester Mysteries. The novels, written by James Runcie, son of a former Archbishop of Canterbury, feature Sidney Chambers, a young canon and World War II veteran. 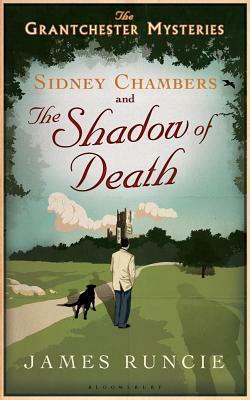 This first novel, Sidney Chambers and the Shadow of Death, is set in the early 1950s. Established in his parish, Sidney enjoys jazz and does not like sherry, a beverage everyone assumes a clergyman drinks. He is slightly out of keeping with those around him and has a streak of independence. His best friend is Geordie Keating, a police detective. In the evenings they like a pint and a game of dominos. When a woman comes to him with a story about the death of her married lover, Sidney feels compelled to go against his instincts and investigate this death. This first book in the series is a collection of six stories. Each sees Sidney Chambers in a different context, investigating murders and thefts, all the while pondering if playing detective is a fitting pursuit for a member of the clergy. Given access to his inner life, the reader gets a sense of Sidney as a person and his struggle to fulfill his duties. This doesn’t mean that Sidney comes off as earnest; his struggles seem real and well-realised, especially as he confronts his own limitations as a detective and canon. I can see why these stories have been adapted for the screen – they take a well-known trope and offer the viewer a sense of familiarity. The Number 1 Ladies Detective Agency comes to mind as these novels (and the TV series) are a bit like a comforting meal. However, everyone needs a bit of comfort now and then. I’d recommend this book for those who like stories with a hint of the Golden Age about them – crimes solved, the guilty punished and things returned to normal.